It’s that time of year again when we have started or broken our New Years Resolutions. The usual ones are: weight loss, quit smoking and joining the gym. Mine each year is to get ready for the weddings. For me, January is the beginning of Wedding Season. Yes, Wedding Season. June brides start in January. Some start January two years earlier to get the Venue and the Officiant they want. I don’t know if I ever mentioned, that I perform Wedding Ceremonies. I’m a Minister. This week with the snow blowing and the polar freeze going on, it’s time for the first Bridal Show of the year. Over the next few months, I will talk with a lot of future brides and grooms. I’ll confirm dates and help with vows and answer many questions. The “many questions” is what this blog is about. So what does your Officiant do? I can answer for myself what I do and what many do, but these are questions you should ask your Officiant. The most asked question is … What does it cost? The answer to that is … It depends… What do you want them to do for you? Keeping in mind that in most cases your Officiant does not just show up and marry you. We do those types of weddings but most likely, they are spending a lot of time talking with you and helping you. Here’s what I can tell you. The person doing your wedding is a very involved person at your wedding. You should feel comfortable with them. You should have access to communicate with them. You should be able to hear back from them in days, not weeks. If this is missing, no matter what you are paying, you are not getting the support you need. In Canada, an Officiant has to be registered with a Government Number, yes it’s a license. No, we can not get one online. We must be supported by a governing body to have one. You have the right to see that registration. It is posted on the Government Website and yes, you should check, that way you know you are dealing with a professional. What your Officiant should do for you is set up meetings to help you with questions. This meeting can be in person, by phone or over the internet. They can help with vows and should have some samples to help you if you want to write your own. They can help you design your wedding ceremony and give suggestions that will help your ceremony be less complicated so you can be more relaxed at the time of your ceremony. Your Officiant should be there to bounce ideas off and help with concerns. They can come to rehearsal to help you and your wedding party go through the ceremony. On your wedding day, the Officiant will take control of your ceremony, leading you and your guest through the service. They will also take the responsibility of making sure all the detailed information is on your license. Most will not take possession of your license until your wedding day when they become responsible to sign it and send it off to make it all legal. Your Officiant should be a person who is willing to help make your day, not just official, but easier for you. Back to the cost, now you see how much interaction is going to happen between you and your Officiant. You see how important they are. The reality is without your Officiant, you are having a party, not a wedding. Most charged for a good Officiant less than you pay for a wedding bouquet. 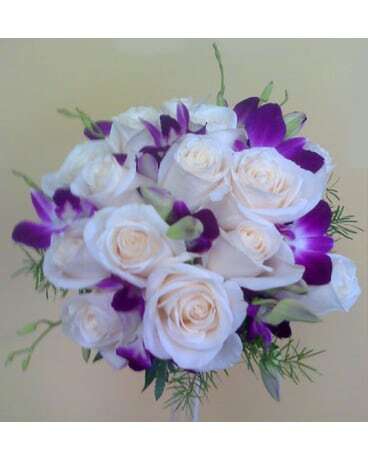 Choose your Officiant with the same care you do your bouquet. At the end of the day, your Officiant nor your bouquet will go home with you but they are both very personal to your day. Wow, how interesting! An Officiant? Or Officiate? I imagine we have some equivalency here in the states, but you don’t hear about it much. That must be fascinating to be a minister. Do you have an official “church?” I imagine they have their own locations in mind mostly then, rather than churches. Yes, I am actually associated with a church in London Ontario. I love doing weddings. Its very rewarding, but most special is when you get to marry off your friends and their children. This year I performed a wedding for a young man I hired when he was 15 years old to work in the kitchen in the retirement home I ran. He is now 25 and I had the privilege of marrying him in his mothers home. I can not tell you what that meant to me.